This course aims to review the main characteristics of clinically meaningful and surrogate end-points and the advantages and disadvantages of using them in confirmatory phase III clinical trials. The established criteria to assess the validation process of surrogate end-points will also be reviewed. This course also aims to give you an overview of the different guidelines developed by the FDA and EMA in order to give guidance on the primary end-points to be assessed in confirmatory phase III clinical trials for the different conditions. Some examples of these guidelines will be reviewed. 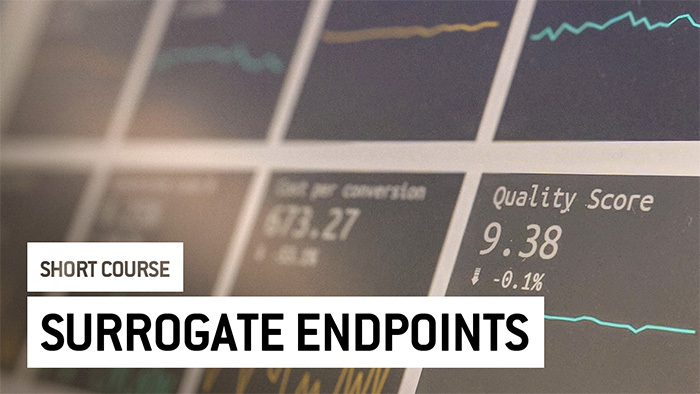 At the end of this course, you will be familiar with the advantages and limitations of using surrogate endpoints as principal variables in clinical trials and with their correlation with the clinical main outcomes.